Mission: WOLO Artist Residency is a collaboration between the WOLO Bukit Bintang Hotel and the renowned art gallery, Wei-Ling Gallery. The residency is aimed at international artists who apply for the space through an application and proposal. Selected artists will be invited to come to Kuala Lumpur and spend two months in this bustling city, while the practice can be in any discipline (paint, photography, video, light or sculpture). Unfortunately, the residency is not accepting writers at this time. The objective of the residency is for international artists to live and work in the center of Kuala Lumpur for two months to realize a project that draws upon the identity of Malaysia. As the residency is situated in a boutique hotel in the middle of the Bukit Bintang district in Kuala Lumpur, the project should be community based and must result in at least one finished work of art which will eventually find its permanent home in the hotel/development. 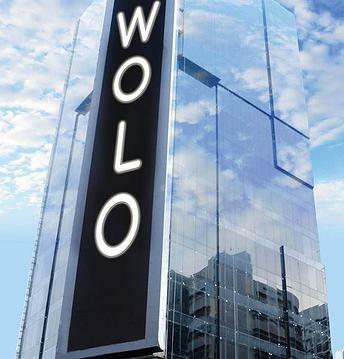 Accommodations: WOLO Artist Residency is located in the heart of Kuala Lumpur, Malaysia, a collaboration between the WOLO Bukit Bintang Hotel (This is situated right next to the famous Petronas Twin Towers) and the renowned art gallery, Wei-Ling Gallery. 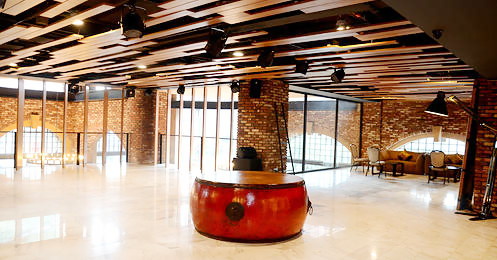 The 4-Star boutique hotel combines Malaysia’s heritage of culture and arts with high-class design elements. Embodying the exuberance of Kuala Lumpur, the space is vibrating with the area’s historic charm and energy, mixed with urban and contemporary influences. The residency offers comfortable rooms with a wide range of amenities such as a mini bar, a LCD plasma-screen TV and wireless high-speed Internet access. 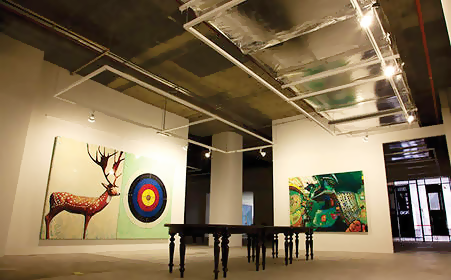 Invited artists will also be using the spacious, open-lighted studio space for self-exploration and the creation of new artworks. Additionally, the hotel has a workout room and a lounging area. WOLO Bukit Bintang is nestled among fine restaurants, pubs and bars whilst numerous cultural destinations and landmarks, are just around the corner. Across the road, the famous Jalan Alor offers Malaysian culinary delights – it is a hotspot for hawker stalls and street food. Shopping malls such as Pavilion, Sungei Wang Plaza, Lot 10 and Starhill Gallery are accessible by foot. Kuala Lumpur’s cultural highlights can easily be reached with the nearby located KL Monorail system. Demographic/Medium: WOLO Artist Residency accepts applications from artists who show a deep commitment to their work but unfortunately, is not accepting students at this time. They are currently only accepting visual artists (any medium). For sculptors, it is important to note that they do not have a kiln. Deadline: There is no application deadline. Applications are accepted year-round. Posted in UncategorizedTagged 2 months, airfare, Artist Residency, boutique hotel, Bukit Bintang, community based, Fellowship, Fully funded, hotel, international artists, Jalan Alor, Kuala Lumpur, light, Lot 10, Malaysia, Malaysia identity, Monthly Stipend, no application fee, paint, Petronas Twin Towers, Photography, Sculpture, Starhill Gallery, studio space, Sungei Wang Plaza, travel expenses covered, Video, Wei-Ling Gallery, WOLO, WOLO Artist Residency, WOLO Bukit Bintang HotelBookmark the permalink.